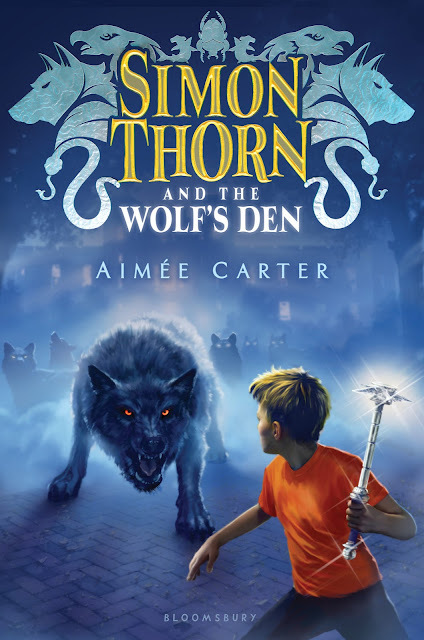 Reads All The Books: Simon Thorn and The Wolf's Den by Aimée Carter - A Mom Monday Review and Giveaway! Simon Thorn and The Wolf's Den by Aimée Carter - A Mom Monday Review and Giveaway! A thrilling debut in the tradition of Rick Riordan and Brandon Mull about a boy who discovers a secret race of animal shape shifters. Twelve-year-old Simon Thorn’s life has never been easy or normal, but things like being bullied at school and living in a cramped Manhattan apartment with his Uncle Darrell are nothing compared to his biggest secret: He can talk to animals. But when his mom is suddenly kidnapped by a herd of rats, Simon finds out that he, his mom, and his uncle are all Animalgams—people born with the ability to change into an animal at will. In search of his mom, Simon discovers the Animalgam Academy based at the Central Park Zoo. There he learns about the fractured five kingdoms that make up this secret world . . . and realizes he may be the only one who can save it. This action-packed page-turner is perfect for fans of the Spirit Animals and The School of Good and Evil series. I first read Aimée Carter when I picked up her Young Adult series The Goddess Test which I promptly fell in love with so when I saw that she was putting out a Middle Grade Fantasy I jumped at the chance to review it and I am so glad that I did. 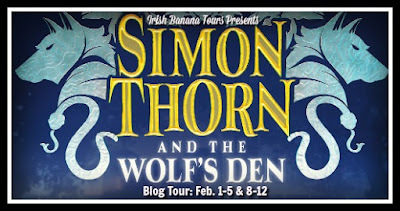 Simon Thorn and The Wolf's Den is a fantastic beginning to a series that is going to have middle grade readers enthralled and clamoring for the next book in the series. Simon is your everyday run of the mill kid. His family life isn't with out it's challenges, his mom is away from home most of the time, he lives with his uncle who clearly loves him but has some interesting rules in regards to animals. He's just trying to make it through middle school, he has a best friend...who he really isn't his best friend anymore, and then there are the bully's at school that Simon is learning to deal with. The thing is Simon for all his ordinariness isn't so ordinary after all....Simon can talk to animals and they talk back! Then Simon's world really gets turned upside down after a fateful trip through the park on his way home from school. I really enjoy Simon as a character. He's a genuinely likable hero who you begin rooting for on the first page. Yes, he makes some infuriating choices at times, may be a bit quick to do things with out considering the consequences but what character doesn't really? I love that he stays true to himself and stands up for himself and others. He fights back when bullied and stands up for others, he loves his family with all his heart even when they keep secrets, huge secrets, and he does what he needs to do to protect them. I thoroughly enjoyed watching Simon grow and love the fact that he has so much more to discover about himself and the world around him. Simon Thorn and The Wolf's Den is a fast paced read that will keep readers glued to their chairs and turning pages. There are just enough twists and turns to keep the excitement factor of the book high with out getting to carried away into complex concepts and intrigues. It has a perfect gasp inducing cliff-hanger that will have parents saying "I knew it!" and kids saying "OH My Gosh! When is the next book coming out?" Aimée has left this book with a ton of 'wiggle' room for more discoveries and future story lines. I am really looking forward to sharing this series with my girls for a long time to come. This is a great read for any middle grade reader, even the youngest ones and especially for those readers that love fantasy. I think this is a great transition series for early Middle Grade readers who enjoyed series' like Suzanne Selfors Imaginary Veterinary or Lucy Coats Beasts of Olympus. This is a great series to send them on their way into the older Middle Grade reads like Rick Riordans Percy Jackson, but it is also going to be a hit with those readers who have already delved into those 'bigger' books in the past. Aimée Carter was born and raised in Michigan, where she currently resides. 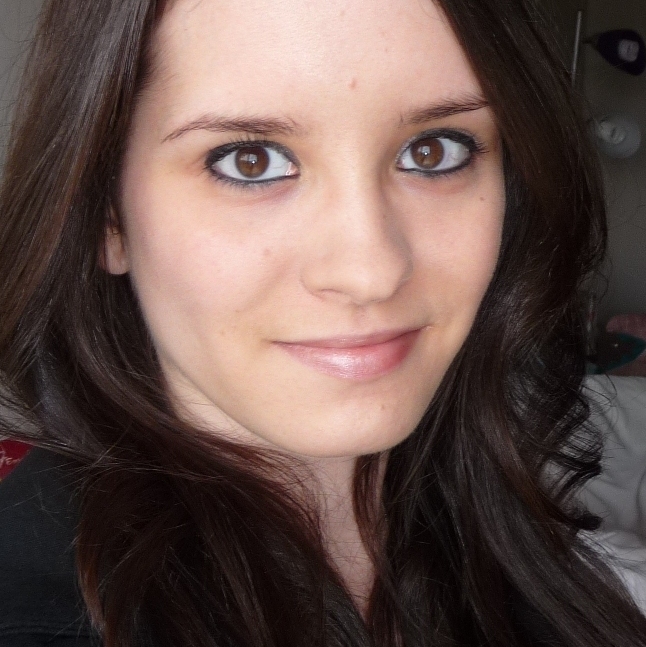 She is the author of several series, including The Goddess Test series, The Blackcoat Rebellion series, and the Simon Thorn series.